Downton Abbey - Episode 1x01. A drama set in pre-WWI England and centered on the dramas of the Crawley family and their servants. HD Wallpaper and background images in the Downton Abbey club tagged: costume drama mini series downton abbey season 1 screencaps episode 1 2010. 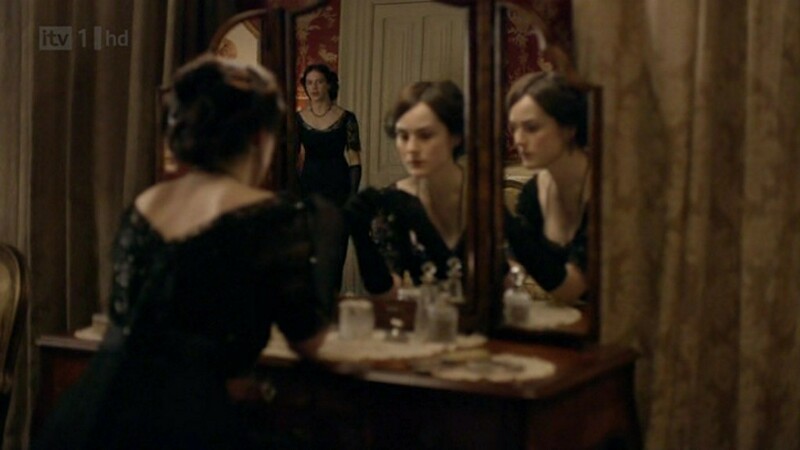 This Downton Abbey Screencap might contain cái nịt vú and brasserie.